I personally have these turbos and they ROCK ! ..awesome spool up .. good top end power ..more than enuff for the street and the track ... (New Garrett GT28RS Turbos with 5 bolt .64 turbine housing modified to bolt on with wastegate actuators, all CNC brackets and flanges, all gaskets, slotted oil return lines and spacers, braided SS oil lines w/fittings & restrictors, silcone elbow and coupler with T-bolt clamps). The GT675 are essentually the same turbos that I received from GMS that was tuned on the dyno by Ash at 666 rwhp. Expect similar 600 range power with similar modifications and tuning. 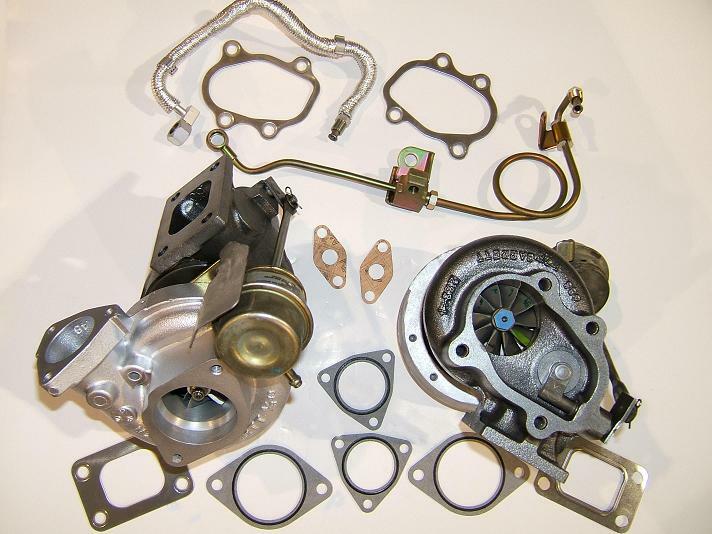 includes all stock oil feed lines and gaskets all kits include all parts necessary for direct bolt on. It will make installation much quicker & easier and considerably less expensive for those not doing their own fabrication. Z1 has spent a lot of time in the development of all the brackets and flange adapters. Z1 claims to have put several sets on and they fit and perform well. Ash had to modify my actuator brackets , calibrate the wastegates, and reclock the turbos when he built my car last year - from personal experience, all not fun stuff to do (or watch in my case) No money required until 5 orders verified ~ then 50% deposit with the rest due once 10 total orders are confirmed. Shipping from Z1 approx 1-2 weeks thereafter. Check out www.300zx.com site for downpipes ~ available in 4 or 5 bolt designs. If you have an interest in other Z1 performance parts, you can get a break on shipping if ordered at the same time. You can contact Z1 directly and state " Turbo Group buy " during your call. For the turbo group buy consideration, Please rsvp to my email and title the subject line "Group Buy - Turbo " and specify which turbos you are interested in. Remember the $400 core charge for the GT525 and the $100 in house credit for stock cores on BB orders. Feel free to contact me for any questions.